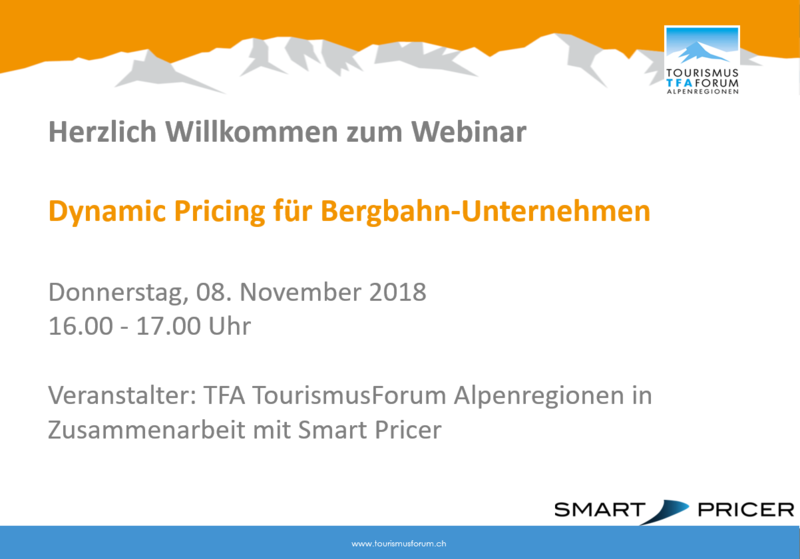 In this worldwide first Webinar about Dynamic Pricing in Ski Resorts, we review the background and motivation for game changers. 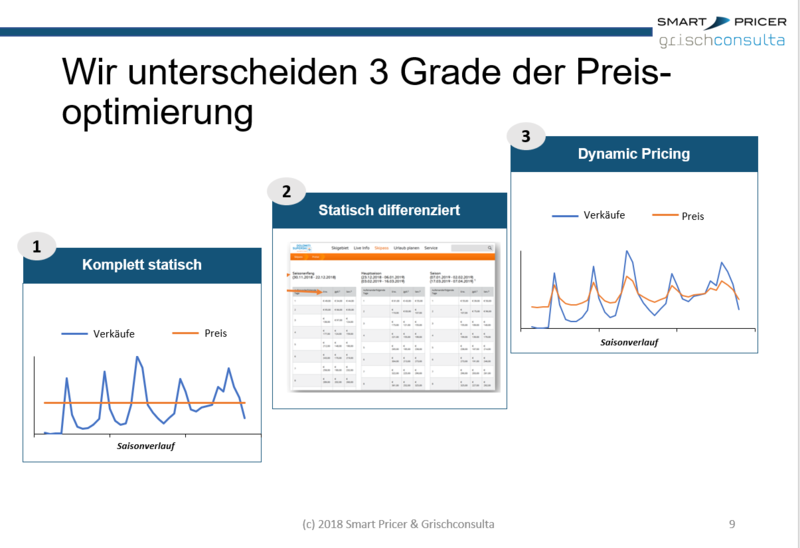 Furthermore, we examine the opportunities for price optimization. 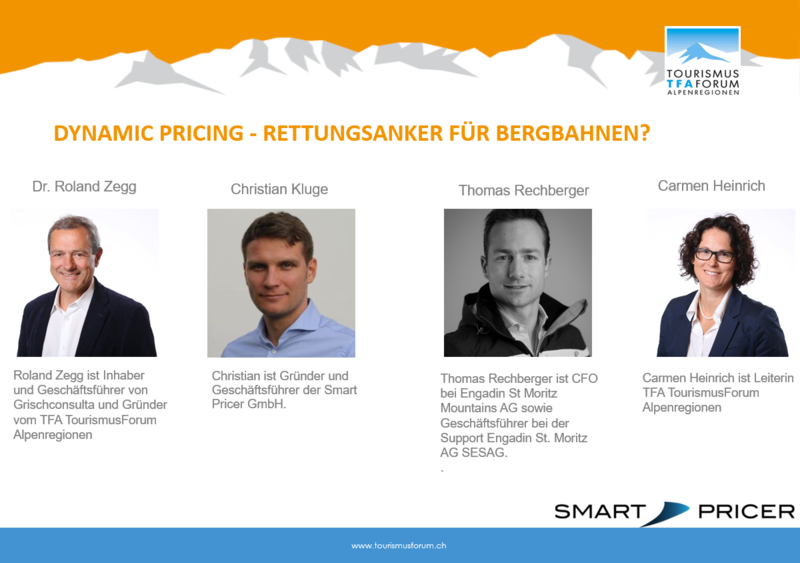 Moreover, CFO Thomas Rechberger from Engadin St Moritz explains how Dynamic Pricing pushed early-bookings for his ski resort. Please download the slides by clicking on the link below. 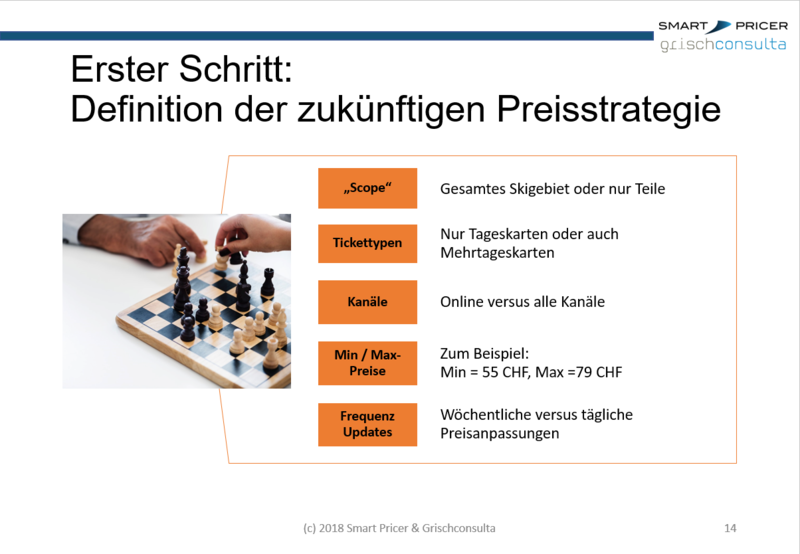 What’s more if you wish to get the recorded webinar, please contact us at info@smart-pricer.com and tell us your name, company, and email address to send you the video. Cinema, sports, entertainment, airlines or home shopping – in many areas, dynamic prices are already generating more revenue. Importantly, it’s not about cheap prices, but about an optimal pricing policy. The decreasing number of visitors in recent years makes covering the increasing operational costs more difficult. As a result, discover the daily demand for your ski resort and set up the right pricing strategy for mountain railways, parking, etc. After all, there are hundreds of factors that influence the demand for ski resorts, such as date and time, weather, season, etc. Predicting the expected demand is key for revenue optimization.